Field Marshal Sir Douglas Haig commanded the British Expeditionary Force (BEF) from 1915 to 1919. 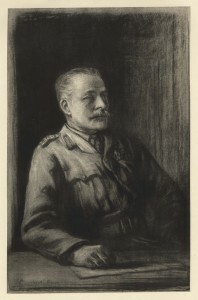 Haig, an experienced British general, took command of the BEF from Sir John French in December 1915. A traditionalist in many respects, notably in his faith in cavalry and in the military value of superior moral character, Haig would strive throughout the war for a breakthrough battle leading to the type of open warfare he always believed imminent. He had been involved in extensive pre-war military reforms and, during the war, adopted new or improved weapons without hesitation, but proved inflexible and unimaginative in the face of trench warfare. His epic but costly offensives at the Somme (1916) and Passchendaele (1917) have become nearly synonymous with the carnage and futility of First World War battles. 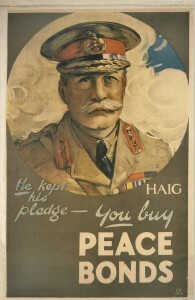 Haig presided over the largest army in British history. He shaped the BEF into an effective fighting formation that played a decisive role in the defeat of Germany in the titanic battles of late 1918. He was also instrumental in creating the combined Allied command structure that coordinated the march to victory. 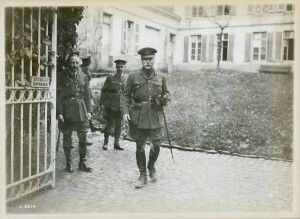 Haig appreciated the military prowess of his colonial and dominion troops, including the Canadians, but chaffed at the political conditions sometimes attached to using them in battle. In the spring of 1918, he was particularly incensed at Canada’s insistence that its divisions fight together as a corps instead of as reinforcements as needed elsewhere in the Allied lines. The shocking casualties and repeated battlefield failures of the First World War led to widespread criticism of its senior commanders. Of all the Allied generals, Haig was the most censured due to his unrelenting faith in the offensive and the huge losses incurred by imperial forces as a result. Especially after his death in 1928, critics accused him of callously practicing a brutal style of warfare known as attrition, intentionally using the Allies’ superior numbers and firepower to wear down the enemy through relentless frontal assaults and incessant fighting. Haig never professed to having consciously followed this approach. Instead, he claimed to have sought decisive victory in campaigns where mistaken leadership, bad weather, or adverse tactical conditions prevented it and saw, even in unsuccessful attacks, the gradual erosion of German fighting power. Either way, his offensives resulted in more Allied than German casualties and an enduring debate over generalship in the context of total war. Field Marshal Sir Douglas Haig, seen leaving the 3rd Canadian divisional headquarters, February 1918. Haig commanded the British Expeditionary Force from December 1915 to 1919.